Original HTC Desire being discontinued? 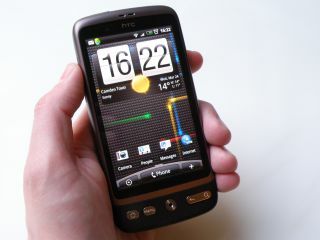 Production of the HTC Desire may be ceasing, with the last batch of stock reportedly having entered the UK. Online phone retailer Clove writes that, "we have been informed that no more [HTC Desires] will be coming in to the UK," although it does note that HTC has not confirmed that it is stopping production. We've asked HTC whether the rumours are true so there is still hope for the much-loved Android until we hear back. It's hard to believe that the HTC Desire has only been with us for sixteen months, having taken its first tentative steps into the spotlight at Mobile World Congress 2010. But my, how it's grown since then; it was the first phone ever to be awarded five stars in an in-depth TechRadar review and sales went through the roof with the Desire, providing Android with its first real iPhone rival. And now, in a world clogged with the HTC Sensation, HTC Desire S, HTC Desire HD and HTC Desire Z and myriad other turbo-charged Android handsets, it looks as though it may be time for the original Desire to pick up its gold carriage clock and mosey on out of the market.